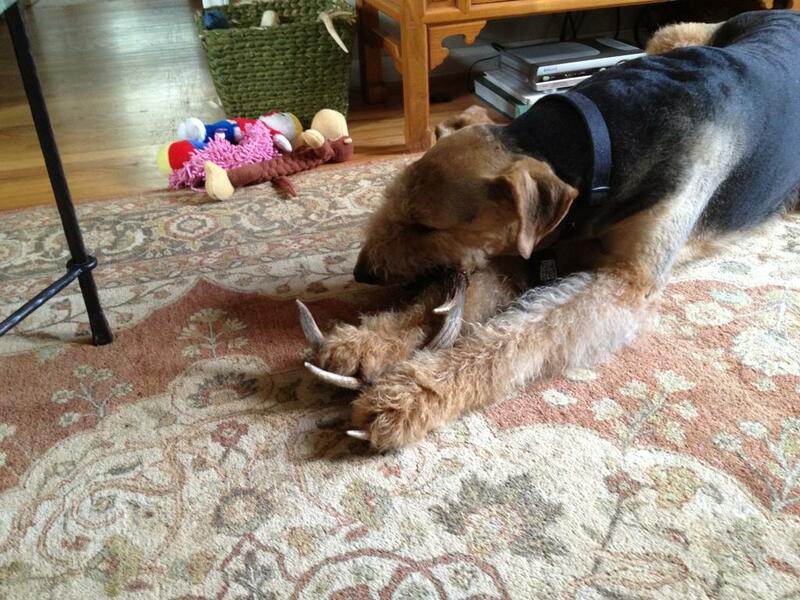 Antlers to chew on – Hefner is in heaven! Hefner is one lucky dog! A friend of his mom sent raw antlers to Hef & his sister Hannah B. Hannah was not interested in the antlers and Hef said that means more for me if I do not have to share! The good thing about Hefner is he would share if his sister liked the antlers too. HannahB is a former ARG ‘dale and anyone would want to share with her because she is so sweet. Next Aggie Transport Success – THANK YOU ARG Volunteers!